The NUK Nature Sense Silicone Teats feature several little opening on the tip to ensure the smooth & steady flow of formula. 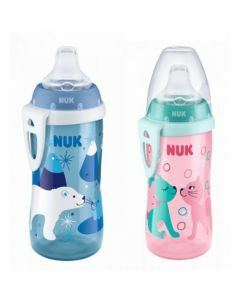 The NUK Nature Sense Silicone Teats have been specially designed to make the transition from breast to bottle feeding as easy as possible for mother & baby. This soft silicone teat has several little openings at the tip to ensure the smooth & natural flow of formula.